What kind of fish live in the Reno/Tahoe area? Nevada's State Fish. Up until the 1940s, self-sustaining populations of Lahontan Cutthroat Trout swam the shrinking arteries of the Great Basin. The impact of growing economies and dams in the early to mid-1900s put the Pyramid Lake strain of Lahontan Cutthroat out of existence once their spawning passages from Pyramid Lake into the Truckee River were impeded. LCT are now mainly hatchery fish, with the only self sustaining population occuring at Summit Lake, NV (no fishing recreation there). Hatchery or not they grow huge at Pyramid Lake. Fish exceeding 20 pounds have become a frequent happening in the past decade. Self Sustaining wild population in the Truckee and Yuba Rivers. Brown trout are known as the top of the pyramid in the trout world. No native brown trout in America, but we love them most. 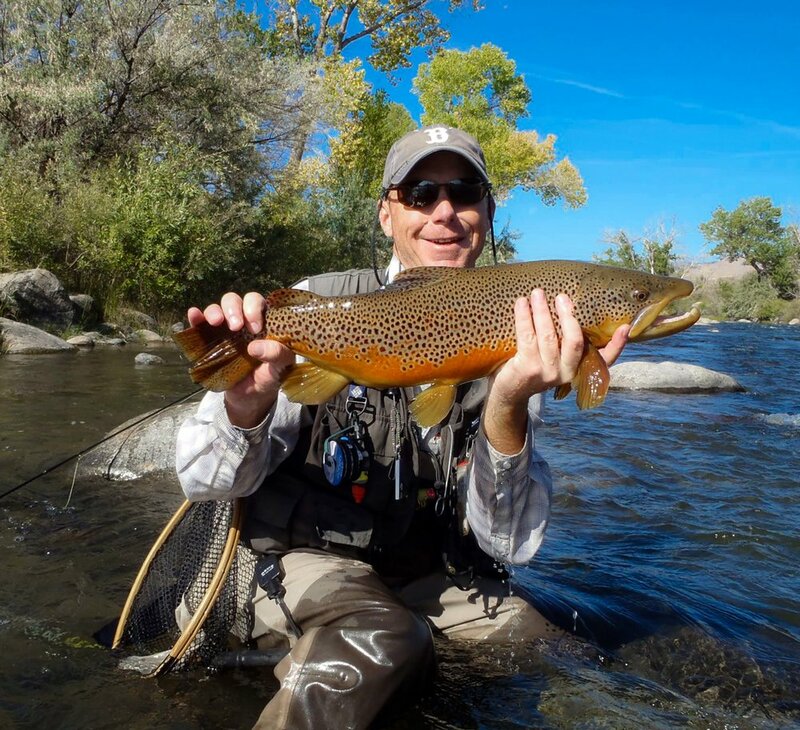 The Truckee River is known to occasionally reward its dedicated anglers with absurdly sized wild brown trout. I fell in love with brown trout in the late '90s when I first started fly fishing the Truckee River. To this day they still motivate me to better myself as a guide and an angler. Wild populations exist throughout the West and in the Truckee River. Rainbows are known for their brilliant colors and hard fighting demeanor, often leaping above anglers heads after hooked. Rainbow trout's native range is from Northern, CA through the Gulf of AK and into the Kamchatka Peninsula in Russia. Rainbows have spent a lot of time being reared in hatcheries through the last 100 plus years, but they are also good at gaining traction on their own in watersheds offering consistent water and food. Truckee Rainbows are known to get just as big as the brown trout. Carp are one of my favorite fish to chase. Incredibly spooky, hard to hook, and provide some exciting fights! Carp are great targets during the Summer afternoon heat when water temps in the freestone Truckee River begin to warm. There are some enormous carp in the lower Truckee River and several urban ponds/lakes around Reno. 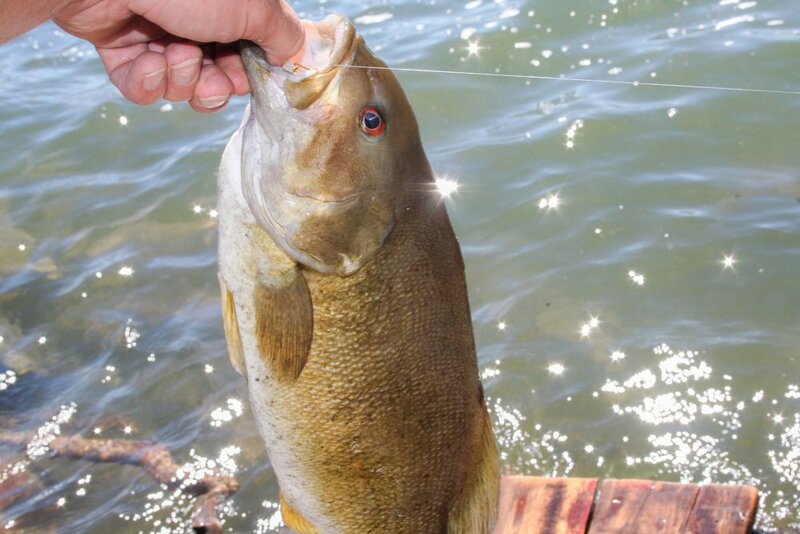 Small mouth Bass are pound for pound one of the toughest freshwater fighting fish. We have small mouth in a few local reservoirs. A fun fish to target during the Summer months. Who doesn't love Brook Trout? Summer and Fall offer some great Brookie fishing if willing to trek a bit further into the Mountains.